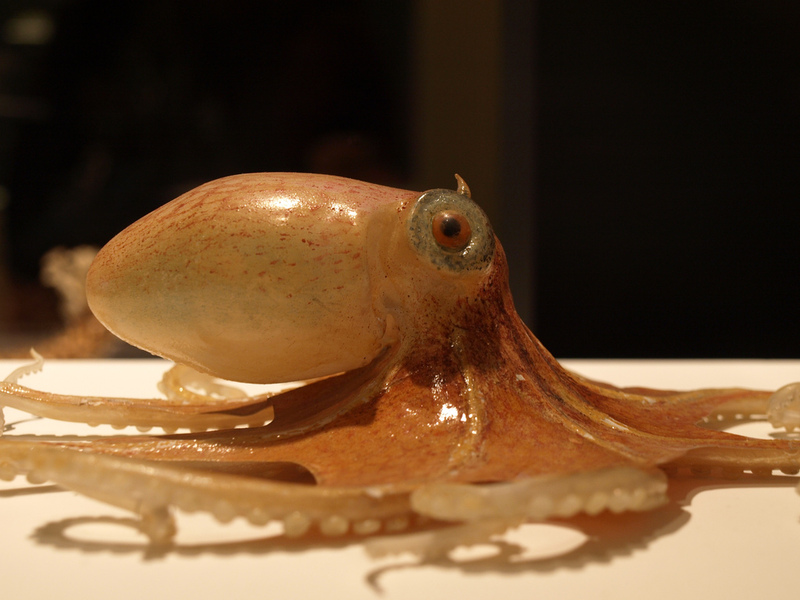 New Exhibition, Mollusks: Shelled Masters of the Marine Realm at Harvard Museum of Natural History. Mollusks: Shelled Masters of the Marine Realm explores the amazing diversity and history of mollusks—snails, clams, squid and other invertebrates that comprise almost a quarter of all known marine species. 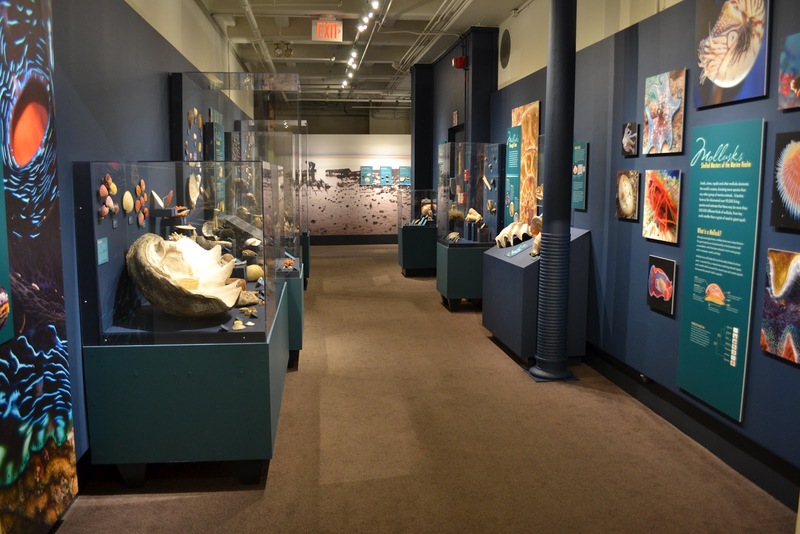 Visitors will see hundreds of shells from the collections in the Department of Malacology at Harvard's Museum of Comparative Zoology, many of which have never before been on public display. 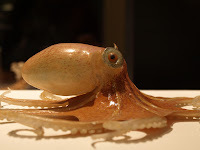 The University’s Museum of Comparative Zoology contains the largest and most diverse private collection of mollusks in the world, with close to 10 million specimens. Did you know that some snails are miniscule--smaller than a grain of sand, and that the largest is almost two feet long? In the new exhibition, visitors will see some of the largest specimens, and use magnifiers to examine some of the tiniest. Featuring recent discoveries about mollusks’ evolutionary history and ongoing research by Professor Gonzalo Giribet, colleagues and students in the Giribet Laboratory at Harvard University, the Mollusks exhibition will engage the general public in mollusk evolution, ecology, and the many ways in which their lives intersect with ours. Visitors will learn about the ecology of local bivalves such as oysters or clams that are deliciously edible to humans. They can examine the diversity of snails of the genus Conus, which are some of the most beautiful, but also some of the most deadly. These carnivorous snails make a powerful neurotoxin they use to paralyze their prey. Scientists are using cone snail venom to make new, equally powerful medicines to control chronic and severe pain. The exhibition is funded in part by a grant from the National Science Foundation. Contact the museum to find out if this exhibit is still on display. 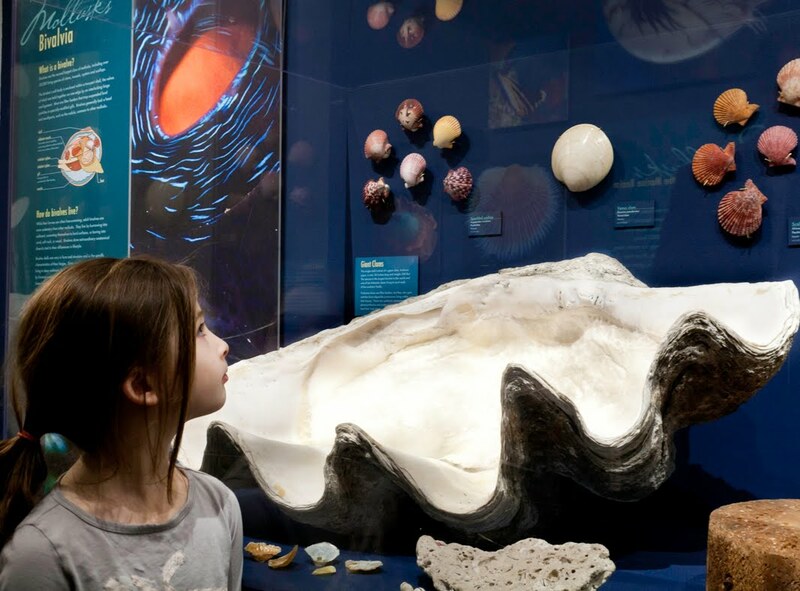 With a mission to enhance public understanding and appreciation of the natural world and the human place in it, the Harvard Museum of Natural History draws on the University’s collections and research to present a historic and interdisciplinary exploration of science and nature. More than190,000 visitors annually make it the University’s most-visited museum. Harvard Museum of Natural History is located at 26 Oxford Street, Cambridge. For general information, please see the website at www.hmnh.harvard.edu, or call 617-495-3045 .